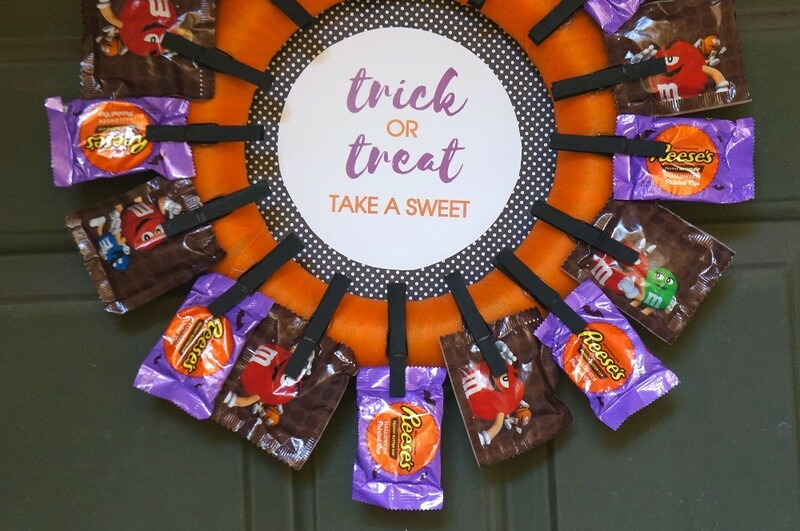 If you’ll be out trick or treating this Halloween, you NEED to make your own DIY Halloween candy wreath craft, a great way to display candy for trick or treaters! It’s almost time to go trick or treating, Halloween is on its way! We leave the house on Halloween night each year, which means that we’re not home for other trick or treaters in the neighborhood. 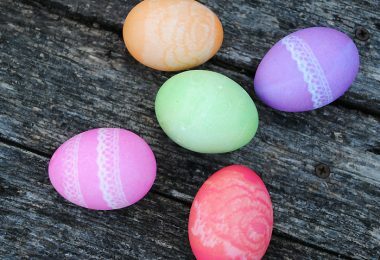 Sure, we can throw some lollipos in a bowl, but what fun is that?! If you’ll be gone trick or treating, or are having a Halloween party, and you are in need of Halloween candy display ideas, you just might LOVE this one! If you want to make your own Halloween wreath and love to craft, this easy Halloween wreath tutorial is right up your alley! 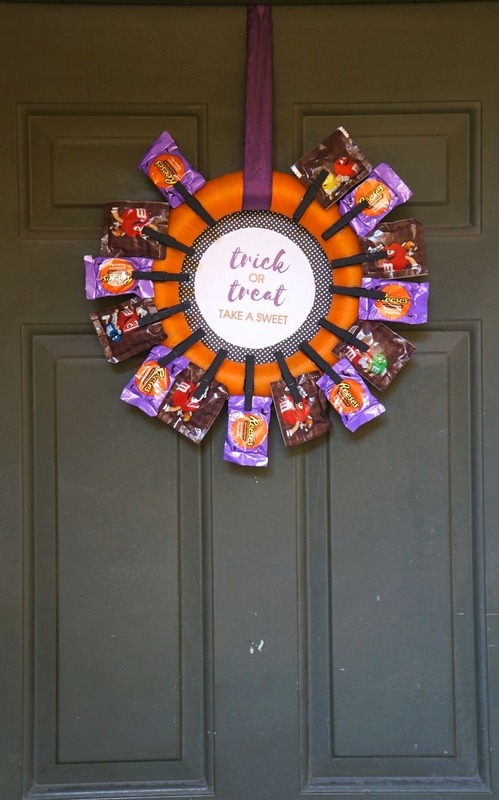 When you’re out with your kiddos trick or treating for most of the evening, this DIY Halloween candy wreath is perfect for your front door, it not only holds candy, but doubles as cute DIY Halloween decorations. You can totally make your own Halloween wreath, perfect for trick or treaters who stop by your house. DIY Halloween Candy Wreath – Great For Trick or Treaters! 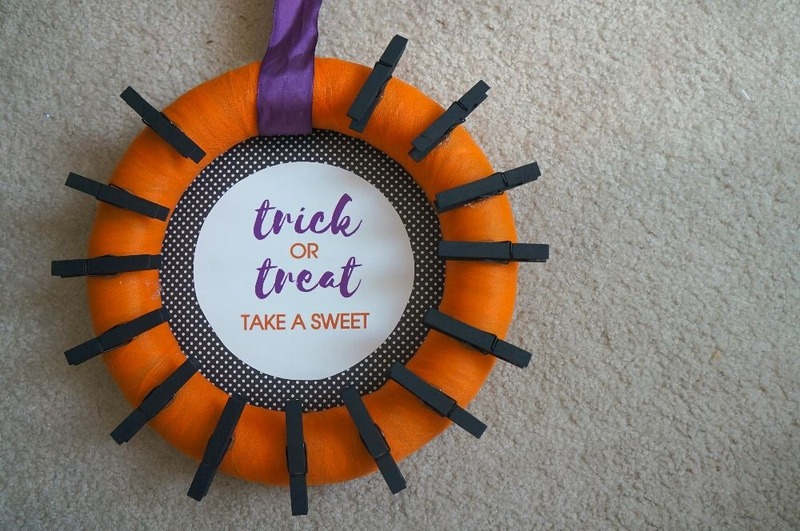 This Halloween candy wreath craft is pretty easy, it involves a foam wreath, clothes pins, and a few decorative touches, plus a few things you may already have at home. Check out my Halloween wreath tutorial and make one of your own! Start by spray painting the wooden clothes pins black. 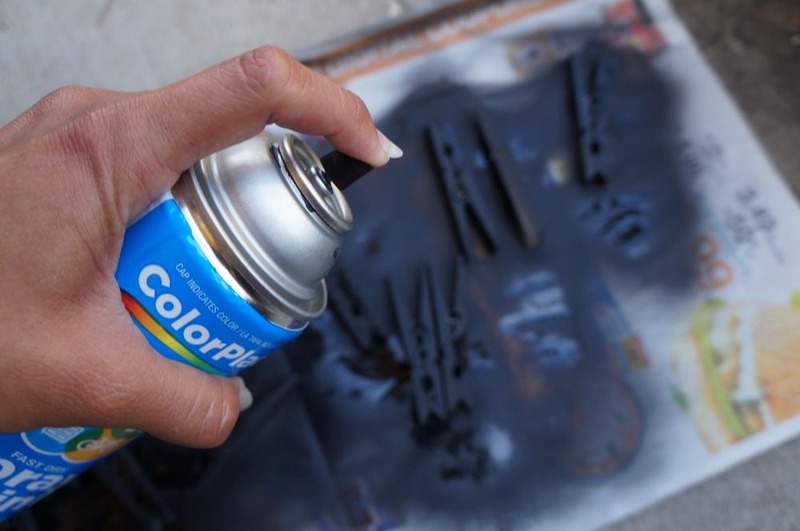 Arrange each one on a piece of newspaper outside and thoroughly spray all sides with your black spray paint. Allow them to dry for 15-20 minutes, turn each clothes pin over, and spray the remainder of each one until they are completely black. 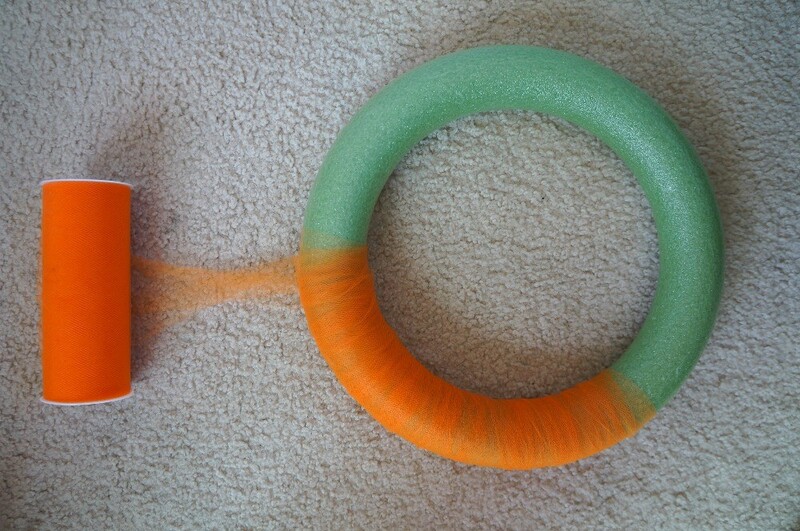 Glue the end of your orange tulle roll to what will be the back of the wreath and wrap it around and around and around, overlapping multiple times to cover the green (or white) color of the floral foam wreath ring. 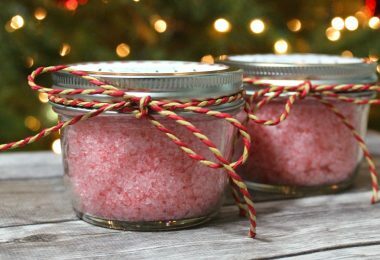 I personally love how the tulle looks, but if you’re using ribbon, you’ll do the same thing. Once you get around the entire wreath, cut the tulle/ribbon and hot glue the end in the exact same spot that you started on the back of the wreath. Measure out a piece of ribbon to your desired length and glue each side to the back of the wreath, preferably at the same glue site as the tulle. Grab your decorative paper and trace the outside of the wreath onto it to make a 12-inch circle, cut it out. 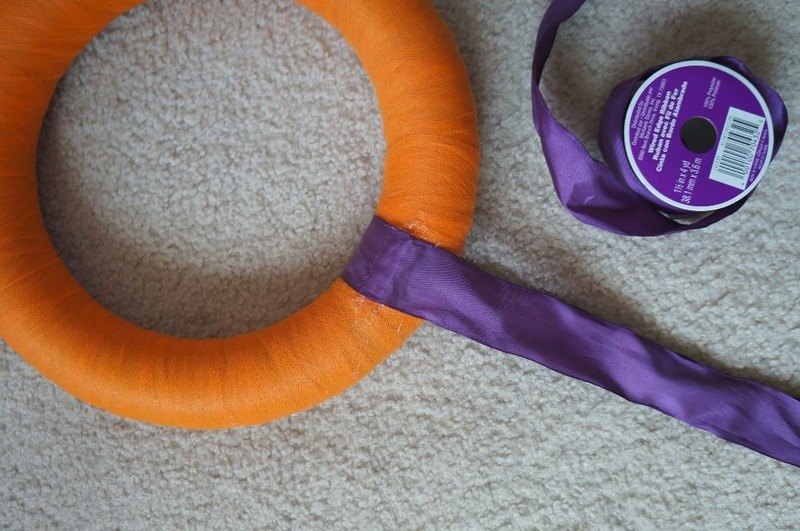 Cut a smaller circle around the “trick or treat” sign, and hot glue it to the middle of the 12-inch decorative paper circle. Run a line of glue around the outer edge of the back of the wreath and press your paper circle FACE DOWN so that the sign will show on the front. Trim any excess paper off around the outside edges. Take your black clothes pins and arrange them around the wreath as desired, all open mouths of the pins should be facing outwards, and the pinch side will be on the inside of the wreath. To make sure all pins are evenly spaced, I suggest starting in the lower middle of the wreath, around 6 o’clock, and going up from there. To glue, put on a nice generous dot of hot glue for each clothes pin, and make sure that the open sides face OUT! Allow about 20 minutes for the glue to dry and the pins to set. Step 5: Add the Halloween candy! The photo above shows a complete wreath. 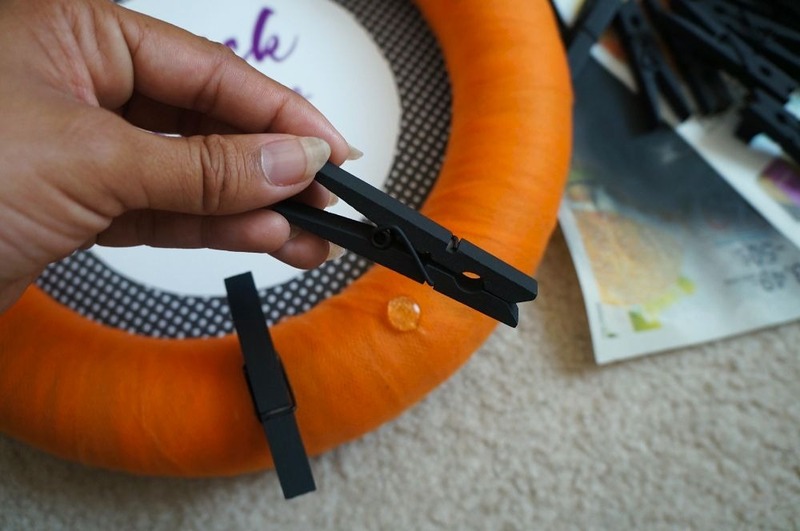 When you’re sure it’s dry, carefully add Halloween candy pieces to each clothes pin and clamp down as seen below. Hang your wreath on your front door with a wreath hanger, a strong command hook, or a nail in the door and admire! 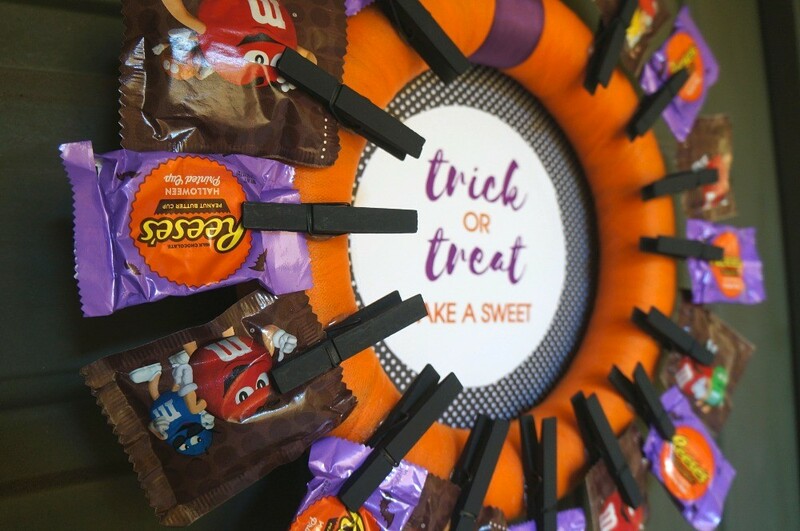 This DIY Halloween candy wreath craft was easy to make and looks super cute! If you’ll be out trick or treating with this kids, or just don’t feel like answering the door all night, this Halloween wreath idea is perfect for when you’re not home. 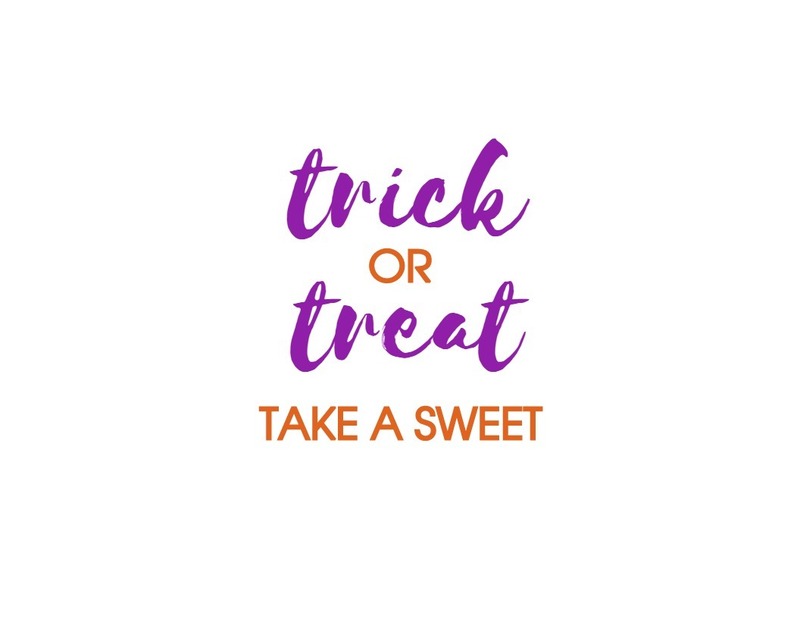 You should make your own Halloween wreath, I liked my “trick or treat, take a sweet” sign, but you can totally get creative and make your own. Have a fabulous Halloween night!